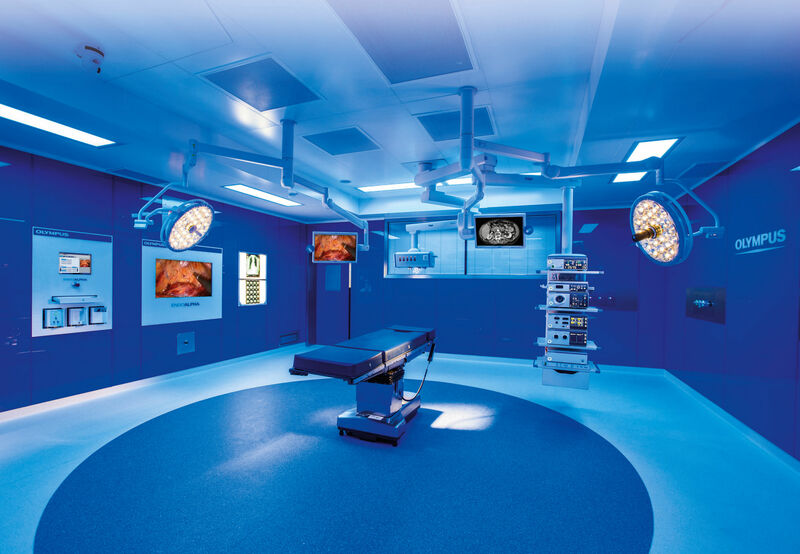 tvONE, a designer and manufacturer of video and multimedia processing equipment, has been chosen by Olympus Surgical Technologies Europe to develop a custom video routing system transmitting 2D, 3D and 4K images for its minimal invasive surgery system. Olympus provides a complete workflow solution – from camera to screen – for minimally invasive surgery (laparoscopy or keyhole surgery). The company is a provider in the field and one of the first to offer 3D and 4K endoscopic cameras. The Olympus solution had some very challenging requirements that would stretch the abilities of a matrix switcher to its limit. Olympus needed to be able to capture and deliver 3D and 4K signals, and route these to the screen for the surgeon to refer to. It also needed to be able to scale, format and route all of the SD and HD images to other systems in the operating theatre. The company uses a specially adapted colour space, and needed its chosen solution to be able to handle that also. The requirements also included support for 3G-SDI Level B signals to handle the 3D signals from the Olympus equipment; support for extended video range, with conversion to limited range; support of 4K resolution and colour gamut (BT 2020); and support for routing of four 3G-SDI signals for 4K. Olympus also requested that the Web UI used to control the CORIOmatrix be adapted to make for easier on-site configuration. The modularity and flexibility of the tvONE CORIOmatrix lends itself readily to such adaptation for specific – and challenging – requirements, while the fact that the matrix is designed and built by tvONE means that the expertise to do so is readily available. The tvONE CORIOmatrix provides high quality modular video matrix switching, allowing connections from various video sources to multiple destinations to be controlled. It is modular in design, and capable of intelligently recognising inserted modules as 3G-SDI, HD-SDI or DVI-U, input or output modules. This allows end users the flexibility to configure the unit to their specific requirements, instead of the router forcing a certain setup and limiting the configuration options. The CORIOmatrix can be simply and cost-effectively upgraded as needs change.